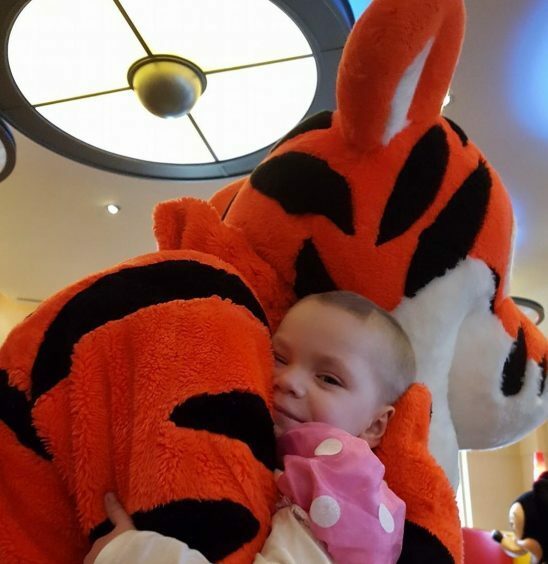 Eileidh hugged all of her favourite characters during her three-day visit to Disneyland. 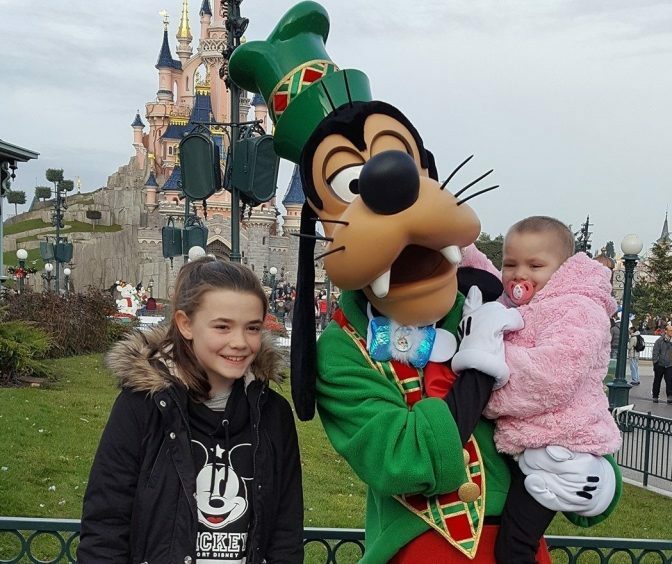 A Moray youngster, who is battling cancer, has returned home with a spring in her step, following a dream holiday at Disneyland. 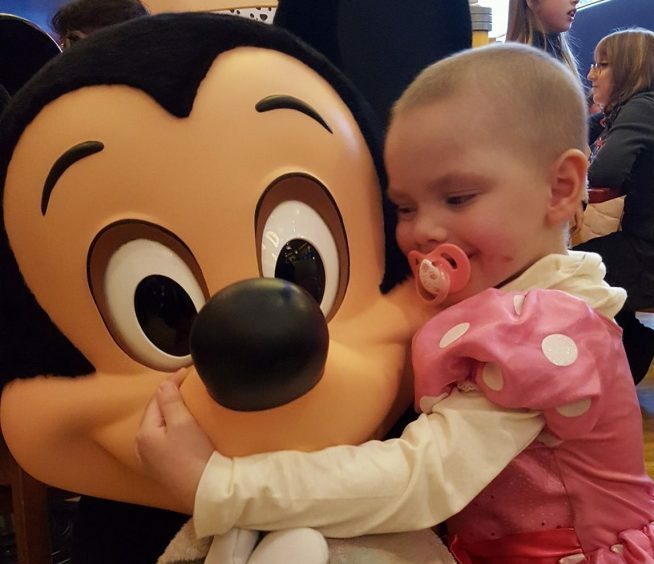 Eileidh Paterson, 4, has spent the last three days playing with her favourite fictional characters after being told about the surprise trip at the weekend. The Forres youngster’s family was devastated earlier this year when they were told her aggressive cancer – neuroblastoma – had returned for a second time. Eileidh has had to endure intense chemotherapy for months during repeat trips to hospital. But, after returning home to Moray last night, her mum, Gail, revealed the trip to Disneyland in France was the most energetic she had seen her daughter in more than a year. She added: “It’s the most active she has been since we were in America. It’s the most she has done in all that time. “She just wanted to walk and walk and walk to see everything at once. She was tired, but she wouldn’t give in. 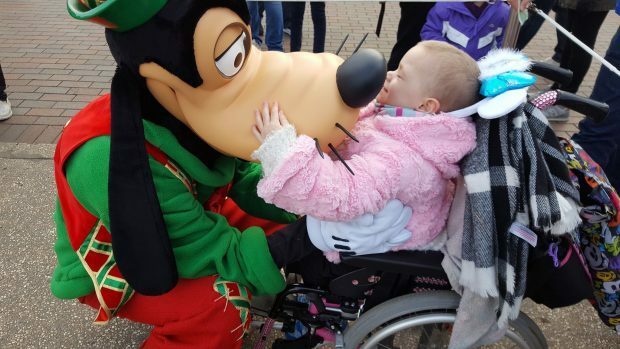 Eileidh’s beaming smile was almost permanently on display during the visit to Disneyland. And she lit up the room when she got to meet Mickey, Goofy and Pluto for lunch. Indeed, rather than sitting still and eating her food, she chased the cartoon characters around the café while playing. At night, she was mesmerised by a show from her favourite Disney character – Anna from Frozen. Eileidh sang along with songs she had memorised from the hit movie while dancing to the performance. She currently has no cancer cells in her body and will return to hospital next month for an update scan. The trip was funded by the charity Matt’s Mission, which organises treats every year for deserving youngsters nominated by members of the public who have been battling illnesses. The charity’s head, Matt Denning, spent up to 18 hours a day collecting money in shops and on the street while running fundraising events to cover the costs. Mrs Paterson said: “It was absolutely amazing. We’re just so grateful to everyone who donated and to Matt for organising everything.